Watch William Kentridge and Philip Miller’s epic new work The Head & the Load which had its world premiere in Tate Modern’s Turbine Hall from 11 – 15 July 2018. 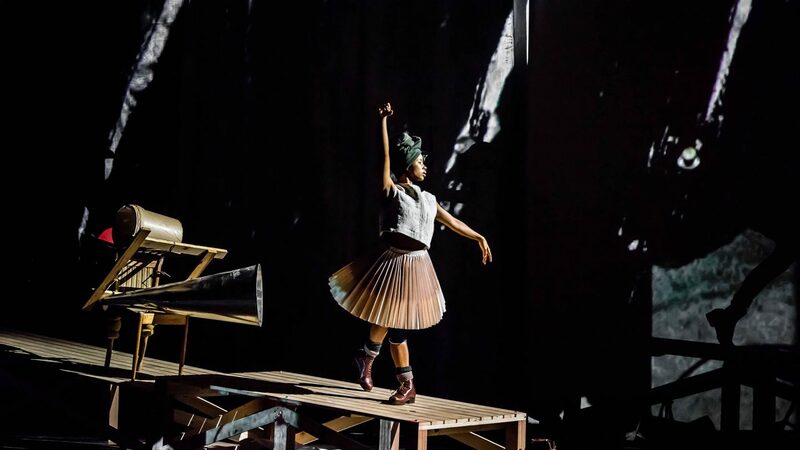 Combining music, dance, film projections, mechanised sculptures and shadow play, it tells the untold story of the millions of African porters and carriers who were involved in the First World War. You can experience this powerful performance online for free until Friday 24 August. The Head & the Load is co-commissioned by 14 – 18 NOW: WW1 Centenary Commissions, Park Avenue Armory, Ruhrtriennale and MASS MoCA with additional support from Holland Festival. Produced by THE OFFICE performing arts + film. The Head & the Load acknowledges the kind assistance of Marian Goodman Gallery, Goodman Gallery and Lia Rumma Gallery in this project.